We draw from decades of research and our own marriage counseling experiences (as the counselors helping couples daily). We love helping couples heal…it’s all we do…all day everyday in our marriage counseling practice locations in Tulsa and Oklahoma City. We only mention this to give you hope. Not to toot our own horn. Really we want you to be confident in the process. 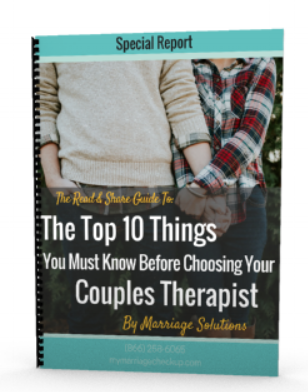 Knowing that thousands of couples have successfully healed individually AND together after massive trust issues should show you that you can too. You can heal. You can heal together. In fact, healing together is the fastest and best way to heal and get to a healthy place. I know for many of you that is just not possible for a variety of reasons. Don’t let that keep you stuck. This information we share here will still help you heal personally because knowledge is power. The ultimate goal is something we call, “Post-Traumatic Growth.” Post Traumatic Growth is where you can see the good despite the horrible infidelity occurring. You can see how you’ve grown, you can recognize your resilience, your marriage is better, and your family is closer despite such horrific betrayal and trauma. We will be writing several posts about each stage of the healing process. This post is all about the Negative Cycles. You need a good road map to find that restaurant your friend has been telling you about. You need some gentle nudging to get from feeling stuck to feeling this was a blessing in disguise. That is what we’re talking about here. We’re giving you that roadmap. We know many of you feel that is a far off (nearly impossible) place. I know it was for me when I went through my relational traumas. Looking back I could see a larger mysterious divine plan at work that I wouldn’t have chosen for myself. Our goal for you and your relationship is to heal without any limps or long lasting emotional bruises. We know it’s possible because we work with couples every day who have that as their reality. Usually, the person who had the affair wants to focus on how bad the relationship was before the affair occurred. The one who was betrayed often wants to focus on the affair and ignore the previous relationship problems. We have to do both. We look at both sides of the relationship. Both partner’s perspective matters. Not just the betrayed partner and not just the offending partner. Advice that is one sided for any relationship can lead us to feeling bitter and jaded. So we offer perspectives on both partner’s experiences before an affair, during, and after the infidelity. Years ago, I read a book on infidelity that was written 18 months after the author’s wife cheated on him. It was full of vitriol and anger. The author was still nursing his own personal wounds while simultaneously trying to teach his readers about how to heal. His advice was very one sided because the affair was still eating at him. It seemed any significant healing hadn’t yet taken place. You want to be careful you avoid bad advice that could potentially hurt you and your healing journey. His book would have been better served as a memoir about his experiences instead of a self-help book about how to heal. There was little to no perspective on the thought process of the offender which is dangerous. You cannot heal a marriage with one person feeling like they don’t matter or have any rights. Stage One: What Is A Negative Cycle? Affair recovery is a process, so working through these stages is a process. Each stage must be successfully dealt with in order to heal. The process is not necessarily linear but you must address each stage. You can’t avoid a stage. Also, you may be working through more than one stage at a time. So when you're dealing with one stage, you may also be simultaneously dealing with another stage as well. The most important healing stage, and the engine that creates the change, is turning the negative cycle into the positive cycle. So that is where we begin. This stage is typically the greatest hindrance to the affair recovery process. Negative cycles include the fights and disagreements that couples experience when recovering from an affair. If you're not consciously aware of the negative cycle and what you are contributing to it, it will be difficult to avoid it. Negative cycles take different forms. They can involve arguments or they can involve emotional distance. Couples can argue or just try to sweep things under the rug. You know you are in a negative cycle when you and your spouse are stuck in a rut you find it very difficult to get out of. There was a negative cycle before the affair occurred…and there’s a negative cycle after the affair is discovered. The negative cycle after the affair occurs is often the same cycle from before…but more intense. Why Do Negative Cycles Happen? You don't feel close. You're doing things to try to make things better but they often just make things worse. Sometimes people just sweep things under the rug as a way to make things better. Other times people will try to talk about the problems and that ends up as an argument. People often feel like they can’t be honest without repercussion in a negative cycle. Honesty is the second thing you need, but people overlook the negative cycle, which is dangerous. You can't move forward when you’re stuck in a negative cycle. You can't move forward through the other stages. You can't reach the last stage of post-traumatic growth. You can't really have a marriage stronger than it was before because you’re unable to get close. It’s impossible to have an intimate and close relationship if you don't deal with the negative cycle. Remember the negative cycle can be the fighting or it can just be distance or avoiding each other. What Fuels The Negative Cycle? The negative cycle is fueled by secondary emotion. A positive cycle is fueled by primary emotion. Let us explain the difference between the two. Primary emotion is the core emotion that we experience, things like hurt, sadness, fear, feeling unworthy. It's in feeling AND sharing primary emotion with our spouse that helps us begin to get out of the negative cycles. Raw primary vulnerable emotion draws us closer to each other. We typically want to move closer to each other. You must share the primary core emotions of hurt, sadness, fear, feeling unworthy without the frustration, without the anger, without the resentment being present, so your partner can begin to soften and draw close to you. They'll want to stop doing what they're doing that hurts you and what causes you to want to distance from them. If you do this correctly, defenses will be dropped and you’ll get more of what you want. Your marriage will be stronger and you’ll be able to deal with the huge relationship injuries like infidelity that have occurred. But if you skip this then you’ll stay stuck and progress won’t happen. You’re going to need to focus on transforming your negative cycle into a positive cycle throughout the healing process. So as you discuss ambiguity or trauma or meaning or forgiveness etc. you will want to focus on this core concept of transforming your negative cycle into a positive cycle. Then after you’ve moved past the affair you’ll want to continue moving out of the negative cycle into a positive cycle in your every day encounters with each other. First, you must create a safe space to share. This is often where people get stuck because both people are hurt, so afraid of getting the same old junk they’ve always experienced, they struggle to feel safe, and worry that if they talk they will be punished. This is why having our help is good idea. Second, recognize the negative cycle. Being able to see where you’re getting stuck is very important. Noticing where you begin to tense up or where you begin to fall into old habits of getting angry or shutting down is important here. Third, you must be able to tap into your primary vulnerable emotion. This can be hard when we’ve never recognized those feelings or emotions. Many of us have never been allowed to share these deeper emotions. We learn to ignore or shut them off to keep ourselves safe. But you must feel it to heal it. Fourth, you need to put words to the feelings and share. You have to share the feelings in a way that is not defensive. Again most people need help with this…it’s not easy for most people. Fifth, you and your spouse both need to be able to respond in a way that is supportive and promotes healing. This is also another challenge place for hurting couples. This is where most people need our help. Once you master this you will be well on your way to healing. You will continue to follow the negative cycle to positive cycle process as you work through each of the stages. When you are ready for help to do this give us a call 918-281-6060. We can work with you from anywhere in the world. Do recognize that this is a process that takes time. You also can’t skip anything. Do understand that this is not a linear process meaning each day will likely be different. Do be encouraged that once you master exiting the negative cycle you will be better off than 70% of all couples no matter how good their relationship is! Do be honest about everything...even the littlest things will be under the microscope for likely many days, months, or years to come. Don’t give up if your recovery time or process doesn’t look like anyone else’s...your unique mix of experiences make the process different for you. Don’t worry if you fall back into old patterns as you’re learning new ones. There will be ups and downs, good and bad days. Keep up the good work! Don't stop at mastering the negative cycle because there is still more to learn about the deeper emotions and complexities of your spouse. Don't let that get you down. As you heal appropriately more trust will be built and you won’t be scrutinized as much. Especially, as you understand the cycles you get caught in.